Missing a recycling sign? 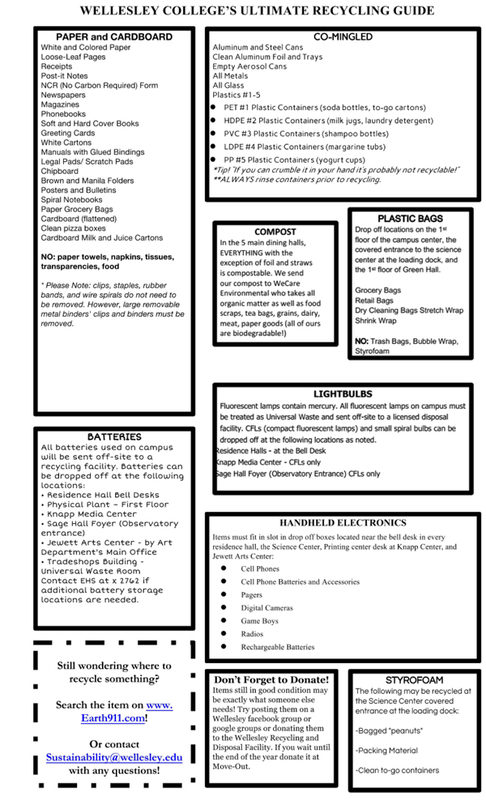 Print your own for your paper and co-mingled recycling bins! Please see larger, downloadable versions of our signs for co-mingled and paper recycling. *While we do not have measurements for solid waste over the past few years, Wellesley will be rebidding its waste contract in 2015. Haulers must provide actual weights of all waste production for data usage if they are interested in winning Wellesley’s bid. Please see our printable version of this guide. Note, it must be printed on legal size paper.